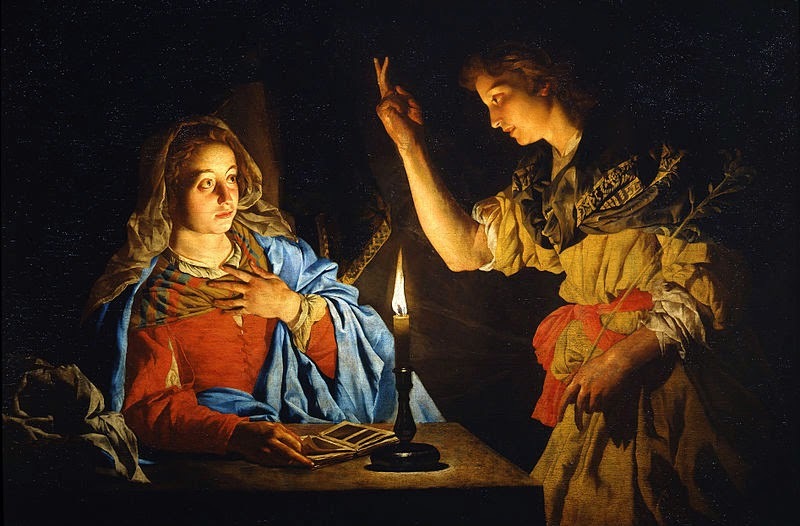 If you are looking for a helpful reflection on this then I think you couldn't do better than reading 'A sonnet for the Annunciation' by Malcolm Guite. He muses on how preoccupied we can be with our own purposes, so "miss the shimmer of the angel's wings". So different from the young girl Mary we remember today. The Word himself was waiting on her word." You can listen to the whole sonnet or read it for yourself here.